This amazing product chemically joins water to the hydrocarbon fuel (diesel, petrol etc). In laymen terms water in your fuel tank or fuel becomes part of the fuel and is used safely by the fuel system. The fuel is now protected from microbial growth (diesel bug) & corrosive water damage to your fuel system. The treatment rate is 1 litre of Aquasolve per 1000 litres of fuel. By adding Aquasolve to all fuel deliveries you are ensuring that water does not build up in the fuel. Which in turn stops microbial growth from forming. 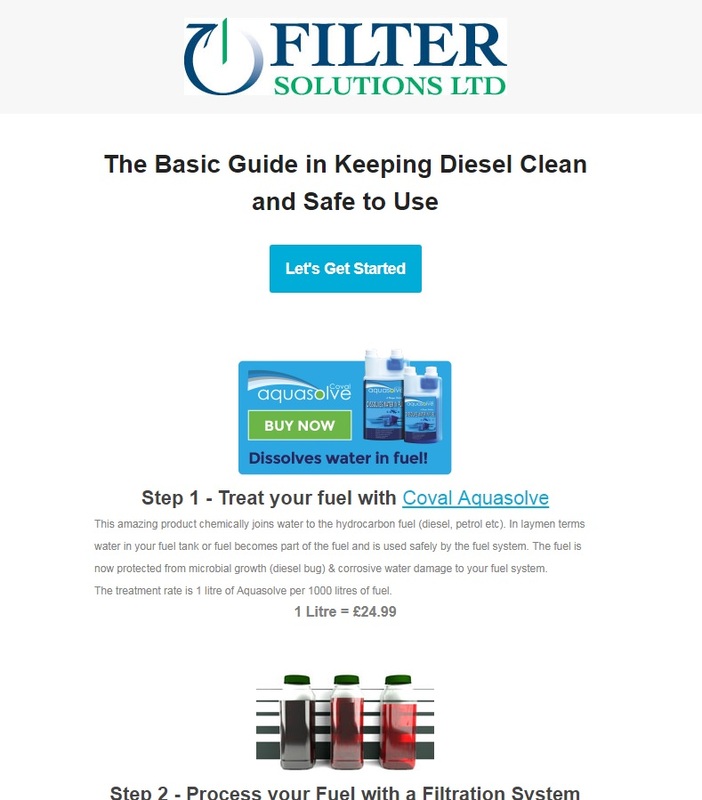 This article in short lists the three best and easiest steps in keeping diesel fuel clean and safe to use. The steps include the use of fuel filtration equipment & chemical additives.